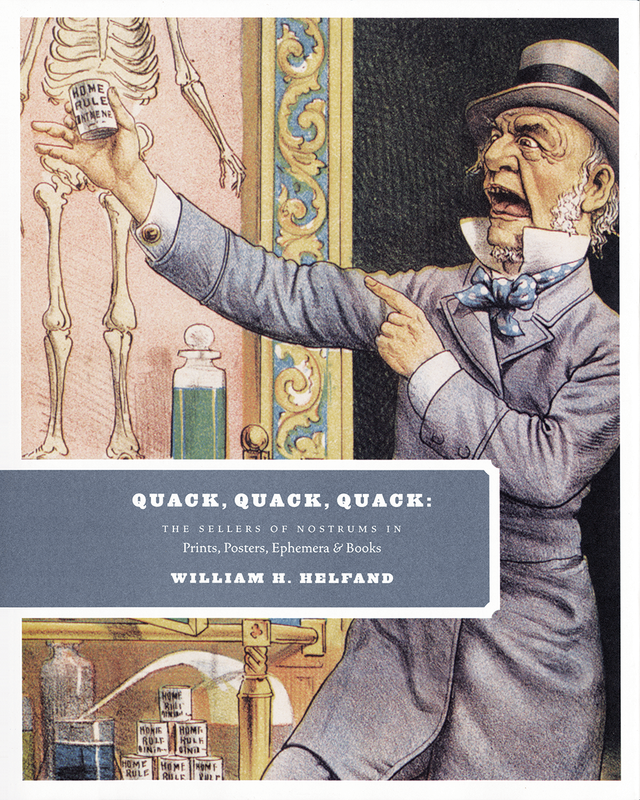 This authoritative and entertaining exhibition catalog explores the long visual history of a rich and neglected topic: medical quackery, from the itinerant seller of nostrums four centuries ago to the unsolicited spam of today's internet. 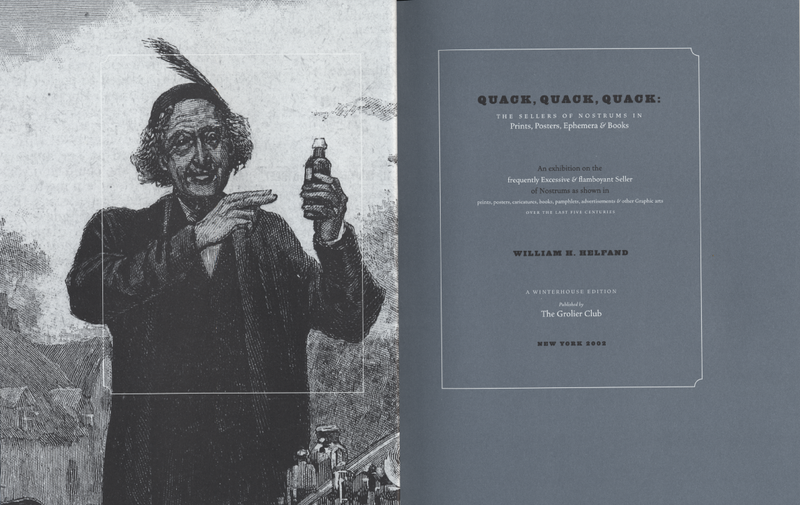 Presenting a broad variety of material--prints by William Hogarth and Honoré Daumier, posters by Jules Chéret and Maxfield Parrish, and books by H. G. Wells and S. Weir Mitchell—Quack, Quack, Quack offers a delightful look at the remarkable artistry and elaborate language quacks used to peddle their wares: lavish pronouncements, excessive postures, and imaginatively exalted therapeutic promises. 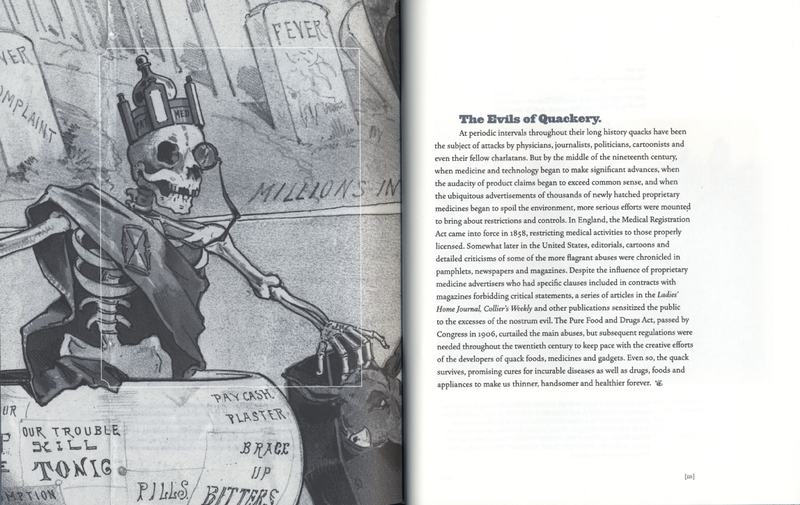 The earliest quacks, we see, dressed elaborately, inflated their credentials, and embraced an extravagant vocabulary to market their panaceas, at times claiming their pills and salves would cure all disease. They were succeeded in short order by the makers of proprietary medicines, many of whom adopted quack-style promotional methods while introducing new ones of their own. These vendors advertised widely–often with celebrity testimonials--publishing broadsides, posters, pamphlets, and manifestos to amplify their claims. And though recent strides in medicine mean that most people avoid quacks, and efforts have been made to rid society of patent-medicine makers, the quack survives to the present day, promising to make us all thinner, better-looking, healthier, or more sexually potent. This catalogue--and the 2002 New York City Grolier Club exhibition it originally accompanied–are fascinating reminders of how long such promises have been with us, and in how many unique and scintillating ways they've been made.